These are our most popular tassels with unlimited uses. Use in your craft projects, costumes, Keys, Dresser drawer knobs, pulls, chain pulls etc. All our Products are made in- house and can be Custom made as per specifications in Color, Design and Size. Tiebacks are an integral part of window dressing today, adding a touch of style and class to your curtains..
A range of tiebacks featuring jute, cotton and linen fibres in their natural colours. A range of tiebacks featuring beads in customized colors according to your needs. Key tassels are small tassels attached to a thin looped cord traditionally used to add a touch of elegance to cabinet furniture..
For the designer touch, the tiebacks in this collection co-ordinate perfectly with metal-finish poles and accessories. Soft, coloured ropes to tie back your curtains (without tassels!). Cord with Lip attached to tie along with curtains and your furnishing accessories. Tasselnfringe.com stocks an extensive range of custom Curtain Tieback and window treatments. You can have custom home decor designs delivered to your in just a few days. 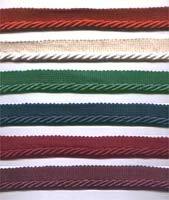 Our list of products includes tiebacks,, turkknot tassels, key tassels, chairtie, cords, drapery, curtain rod, cord with lip, tiebacks, decorative cornices, along with a huge range of other products also on offer. Our experienced design staff stays in touch with the latest trends and manufacture the right trims to enhance your designs. Our in-house studio welcomes your special requests. 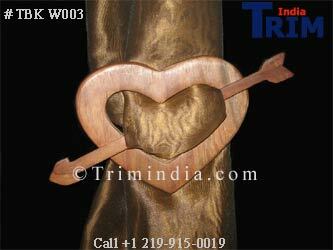 To view their extensive range of Curtain Tieback and home decor ideas click on the Upper links.